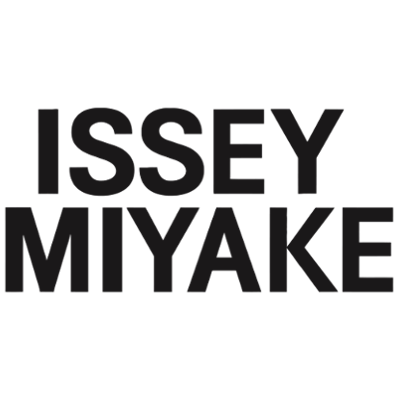 In 1992, Issey Miyake created L'Eau d'Issey and imagined the scent of water, the source of life. This avant-garde aquatic floral fragrance is graced by a slender, sleek bottle, a sign right from the outset of the meeting between East and West. 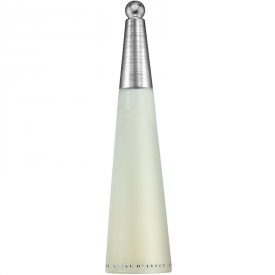 L’Eau d’Issey is a fresh fragrance composed with delicate, light flowers combined with rose and lotus. When Flower meets Water. A fresh, floral aquatic with a woody trail. The main notes of the perfume is freesia and peony. After some time it also produces woody notes. It is indeed a one in a million perfume - dizzying or overpowering, and if spilled/sprayed onto some piece of clothing it stays for days and days not making you feel uncomfortable. It is mild and not imposing or false or pretentious. Somehow this fragrance speaks genuine thing. 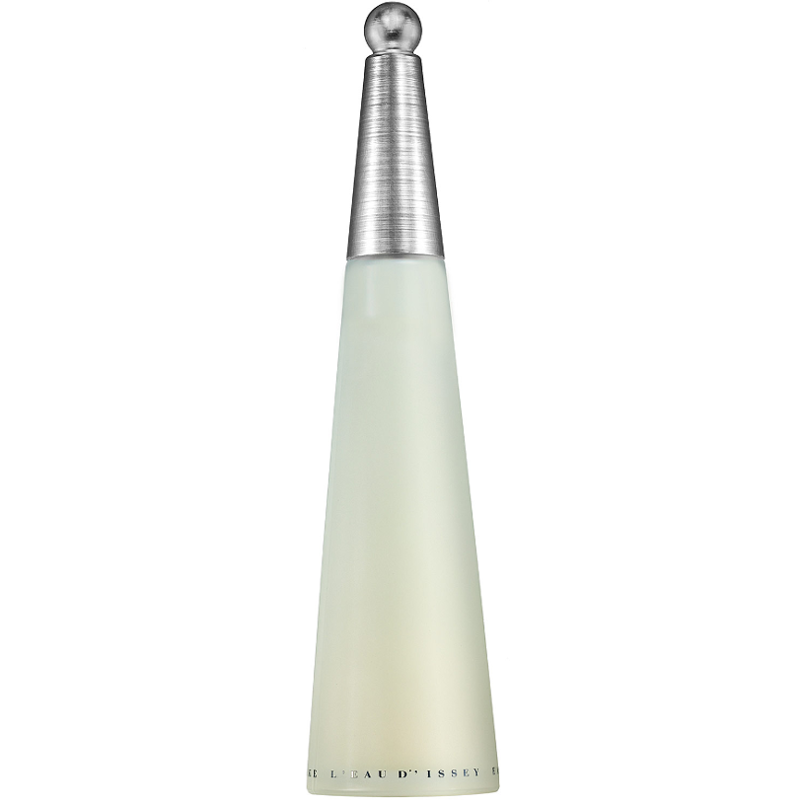 Its opaque cone-shaped bottle is better handled in a smaller volume though - like 25 ml or miniature style, but the big one gives you confidence that you are not running low on your favourite perfume. I would say this EDT will fit any age - from 20 till 65+ - except of course teens, to them I wouldn't recommend it, because it is still more womanly scent, describing a woman on the brink of her womanhood like a blooming rose or (if the woman is older) a woman being a keeper and confidant of all the secrets. 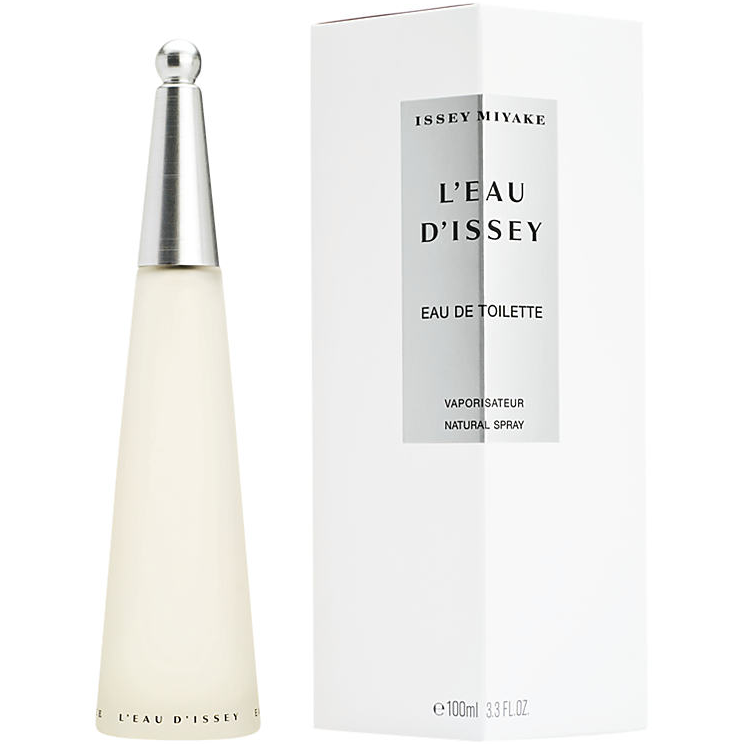 I do like Issey Miyake and L'Eau D'Issey specifically. It's very evocative and a very good quality product. Gorgeous smell. Packaging looks very expensive. Can be a bit pricey especially if you are looking for an everyday scent. This is my all time favourite perfume and anyone who buys me it as a gift goes up in my estimations. Love, Love Love it!!! Gorgeous scent that lasts a long time. It is quite an expensive perfume but a little goes a long way. I use it as a day perfume but I think a lot would use it more at night. Fresh, clean, and very wearable scent. Great packaging. Having been such a huge hit when it was first released, this scent has suffered from it's early nineties ubiquity; it's so connected with the period that it now seems very dated. A pleasant perfume, but it hasn't aged well. I quite like this fragrance,it is really fresh smelling with a little tiny bit of a twang to it. The bottle looks quite stylish and the scent lasted most of the day. I liked it straight away but i think for some people it would be a scent that would grow on them. "the best fragrance I've ever had so far, very feminine, romantic, mysterious and not tedious even a bit"